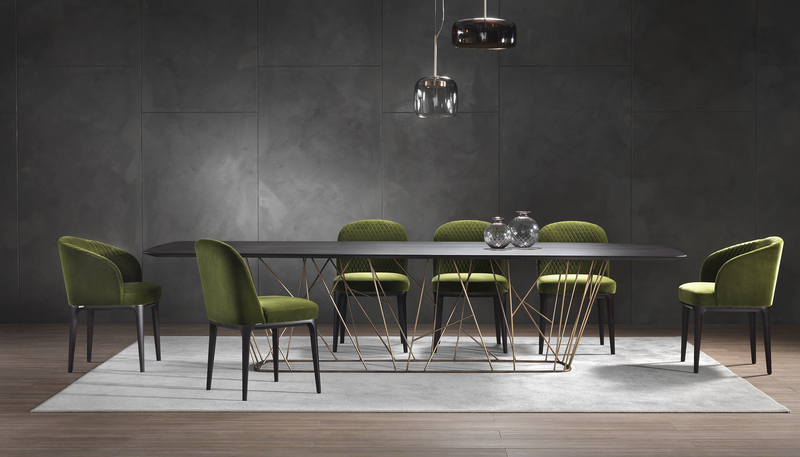 Elegant coffee and dining tables collection characterized by the particular branched metal base. Available in different sizes and with metal, marble or wooden top in different finishes, Twig perfectly fits into any refined residential or contract context. Modern and elegant dining table in two different widths, to adapt to all the dining rooms. The elegant marble top is available in six marble finishes and the frame is in metal, covered in solid oak. On demand, the top can also be made in oak veneer with border in MDF. Collection of modern and elegant coffee and dining tables and consoles characterized by a particular metal base and, in the case of the coffee tables, by the hexagonal top. The Tatlin programme is available in different sizes and finishes and is suitable for refined contract or residential spaces. Barrel shaped dining table, with a particular metal base and marble top available in different finishes, suitable for an elegant dining room. 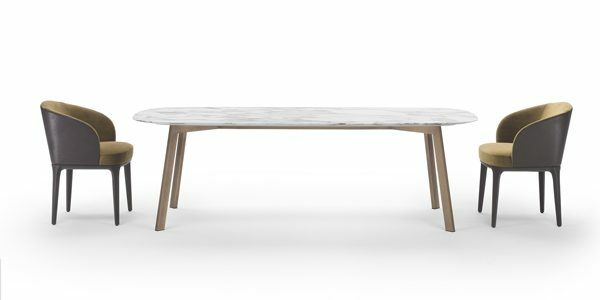 Slim is a wooden dining table with modern and essential lines. Due to its lightness, it is perfect in any contemporary residential or contract space. Collection of dining tables with metal base and round top in different kinds of marble. Break is available in two different heights and with top in different sizes, thus managing to satisfy any kind of contract planning need for the furnishing of bars and restaurants, but is also perfect for an elegant dining room or for a modern living room. 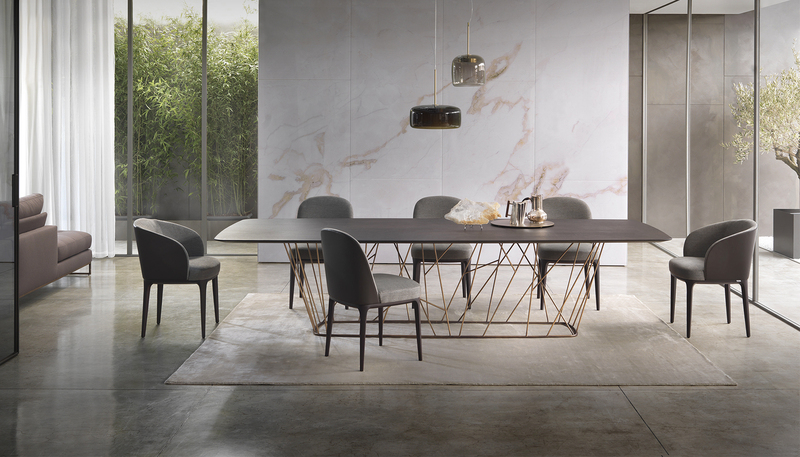 Elegant dining table with rectangular or round shape, available in the two versions in six different marble types or in wood, in matt dark brown or matt natural lati. Hebo is a majestic table with a modern classic design, which can lend a strong personality and a touch of elegance and sophistication to your dining room. Modern and elegant dining table in four different shapes, thus offering the right option for any room. The elegant marble top is available in six marble finishes and the metal frame is painted with epoxy powders.